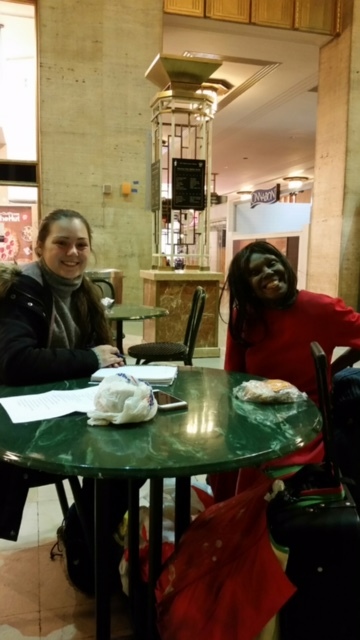 Naming the Homeless is a blog run by a mother-daughter pairing based in New Jersey. 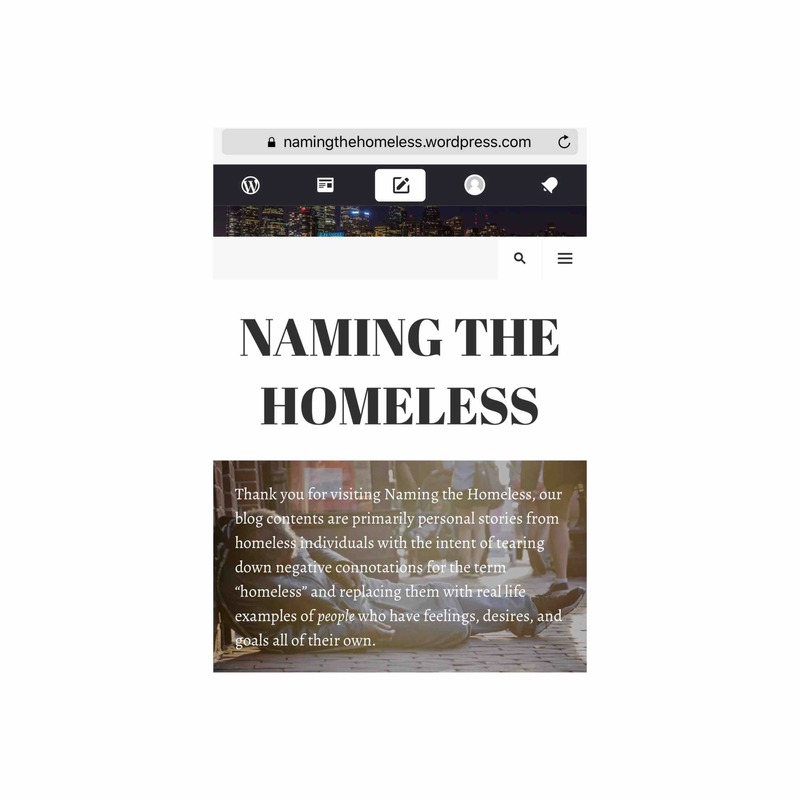 Our mission is to destroy the negative connotation that trails the word “homeless” by meeting a new homeless individual every other Saturdy and sharing their story within the confounds our site. During our biweekly visits we plan to provide a care package in hopes of offering the individual some form of comfort. 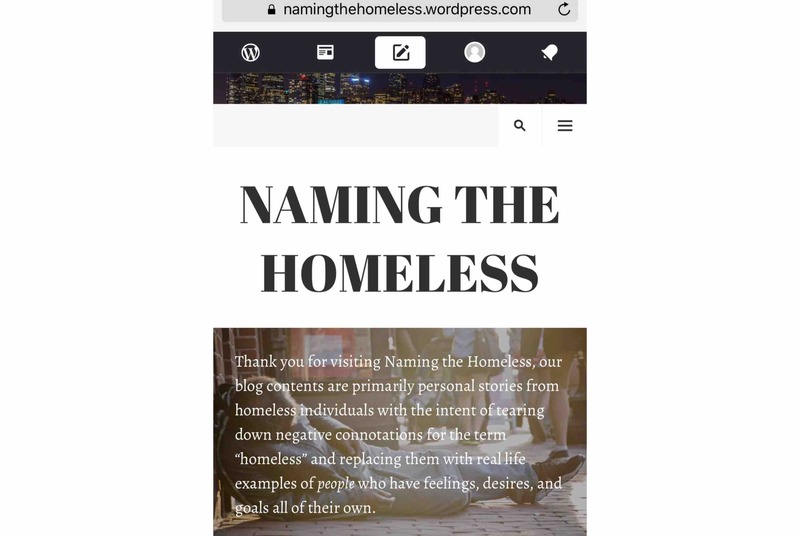 Recently some of those who have viewed our blog have reached out to us and asked if we would accept various donation items such as clothing, canned food, bath products, etc. Donations are more than welcome! By creating this go fund me we are hoping to raise money to create and sustain better quality care packages. 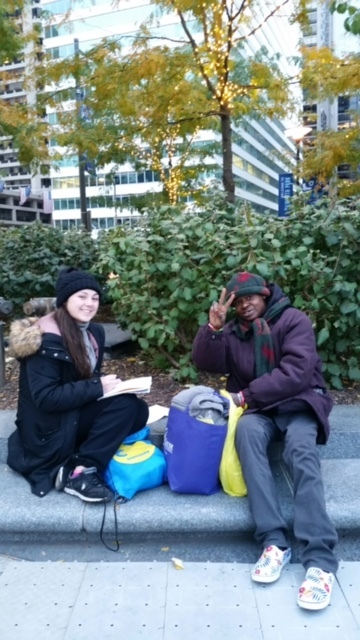 All of the funds accumulated on this page will strickly go towards the care packages that we hand out to a new homeless individual every other week. Depending on how successful this page is we may begin passing out more than one on our biweekly visits. Today is #GivingTuesday! 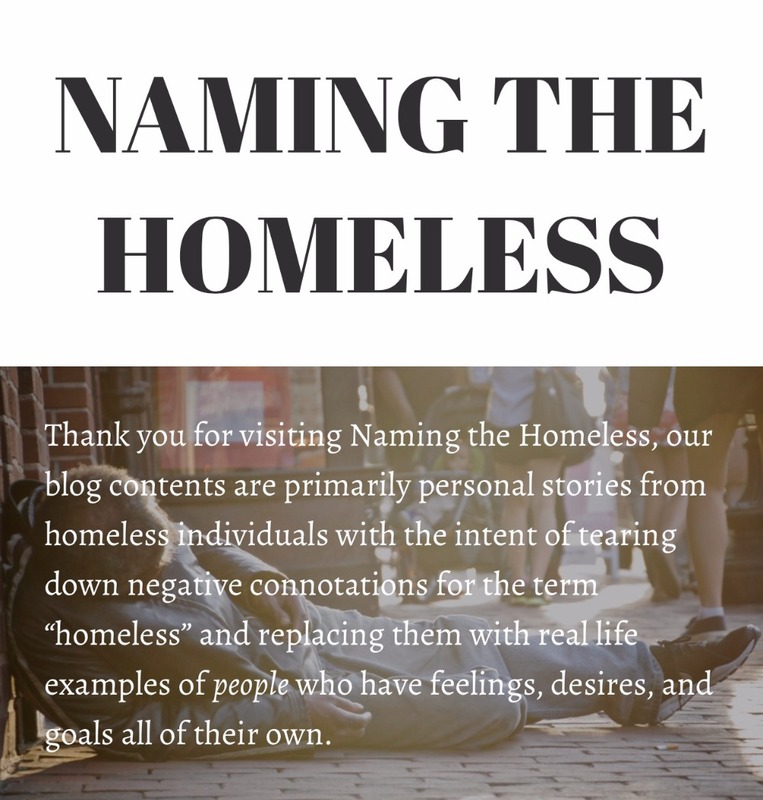 Please consider donating to our cause, all proceeds will go directly toward the care packages that we deliver to the homeless individuals we interview for our blog. Thank you! And also to Ms. Ellen who is now our second donator, bringing us even closer to our goal! A very special thank you to my grandma Joann who was the first to contribute to our cause!